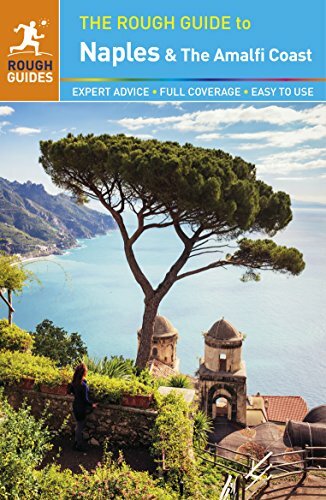 What are some of the most popular vacation destinations in Italy? Certainly there are the historic cities of Florence, Venice and Rome, the fabulous northern lakes or Tuscan hills, or the southern Italian coast and its wonderful beaches. Mention Naples as a suggestion for an Italian vacation, and people may look at you funny. While Naples is famous as the birthplace of pizza, it is also known as being gritty, grimy, and perhaps even "unsafe" for travelers. 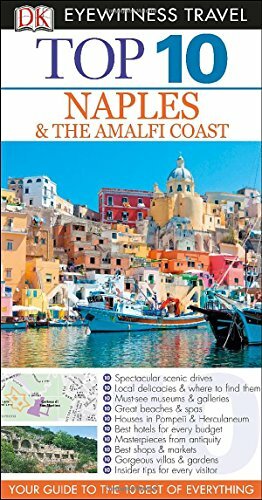 Travel guides to Southern Italy and the Amalfi Coast will even warn travelers away from spending too much time in Naples and make it sound like there is not much to see or do there, and that you must guard your valuables with your life should you dare venture out into the city's streets. 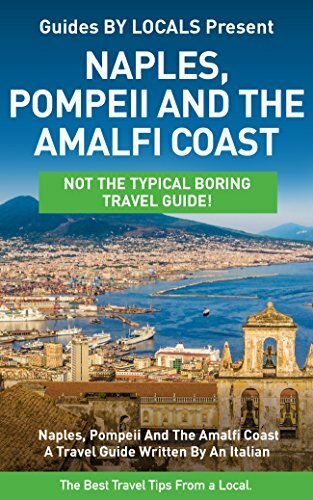 Well, I have to say after spending a week in Naples that these tour guides are very, very wrong. Yes, Naples is a different kind of travel destination as compared to Italy's more popular Northern cities. It can take a while to get used to it, and the city's beauty may take a while to reveal itself to you. But there are many reasons to consider a stay in Napoli, whether just for a few days or as a base of residence for a full Southern Italy vacation. 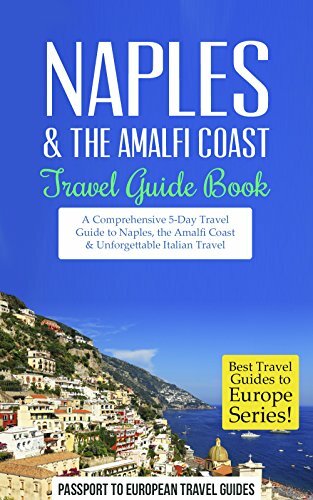 Let me share some of my "discoveries" and reasons to consider Naples with you here, along with some resources and travel guides where you can learn more for planning your own vacation. Along the Bay of Naples at nighttime. Have you ever visited Naples, Italy before? Yes, I have...and I'd love to go back! Yes, I've been there, but once was enough. A view of Naples from my rental apartment, January 2014. We stayed in a lovely penthouse just behind the archeological museum, in the historic part of town, for a fraction of what a hotel room would cost along the bay. Naples is in fact one of the oldest continually inhabited cities in the world! Bronze age Greek settlements in the area date back to the second millennia BC. It was a major part of the Magna Greacia settlements of coastal Southern Italy and later a cultural center of the Roman Republic. The city remained an important after the fall of the Roman Empire, being the capital of the Kingdom of Naples between 1282 and 1816. Sadly the city was also the most-bombed in all of Italy during World War II, suffering significant damage as a result. Paleo-Christian frescoes above a tomb in the Catacombs of San Gennaro. Naples was, until more recent history, built up in layers instead of expanding outward. There is a large underground network of caves, tunnels and Roman ruins beneath the modern city, some of which can be visited through tours such as Naples Sotterranea. No matter what time period in Western European history interests you, you'll find much to discover in Naples and the surrounding area. There are almost 500 historic churches in the city of Naples, many of them located in the central historic part of town. Religion and spirituality continue to play a major role in Naples life, where sometimes paganism and superstition met Catholic beliefs and iconography. While some churches were badly damaged in the bombing of World War II, if you love religious art, architecture and magnificent decorative arts you really need to see some of the incredible churches and chapels in the city. Some feature intricate, colorful inlaid marblework - a true specialty of the region. In Naples too you can see the oldest surviving baptistery of paleo-Christianity (in the magnificent Naples Cathedral) and catacombs where early Christian celebrations - and burials - took place underground. In the crypt of the Naples Catherdral. External view of the Naples Cathedral at night. Also of note is the Cappella Sansevero, a "small" family chapel with incredible sculptural works, most notably the famous Veiled Christ. Pio Monte della Misericordia is another church you must seek out particularly for Caravaggio's painting "The Seven Works of Mercy", although there is also a small attached museum of art worth a visit. At Santa Maria delle Anime del Purgatorio you can tour the "lower church" where pagan rites meet Christianity with the care and devotion to skulls of the unknown dead. Those are just a few of the notable churches you can visit in Naples...get a guide book to learn more about them and which ones you should be sure not to miss! Naples does not have the reputation of, say, Florence or Rome when it comes to art and history museums - and that's a shame. Naples has several museums which really should be on any art or archeology lover's must-see list for their excellent and important collections: most notably the Museo di Capodimonte and the Museo Archeologico Nazionale di Napoli. The Museo di Capodimonte is located in a magnificent Bourbon palace, surrounded by a lovely park high up on the hill above the old historic town. It is the premiere and most important collection of Neapolitan paintings and decorative arts, often overlooked by the rest of the world. It also houses notable works from the 13th-18th centuries by other Italian art schools and artists including Titian, Lorenzo Lotto, Raphael and others. Grand, quiet and free of crowds, the museum is a wonderful place to spend an afternoon or early evening contemplating magnificent artwork, including Caravaggio's moving "Flagellation of Christ". A smaller museum still well worth a visit if you have the time is that of San Lorenzo Maggiore, a complex that actually includes excavated ruins of a Roman forum beneath the church, artifacts of Greek and Roman times, works through the 19th century and lovely frescoed rooms and ceilings. Awe-inspiring works by Luca Giordano at Museo di Capodimonte. Napoli is a great starting point to explore some of the Roman and even Greek ruins you can find in Campania. The 79 AD eruption of Vesuvius buried several cities and villas, most notably the very famous city of Pompeii and the important port town of Herculaneum. It is easy to get to both sites as well as others in the region by fast public (under an hour) transportation from Naples. You can also head by train further south to Paestum, to see the magnificent Greek temples and ruins of an ancient Roman town, along with a wonderful archeological museum. The ruins of Pompeii are an easy day trip from Naples. A view along the Amalfi Coast drive, looking toward the city of Amalfi. 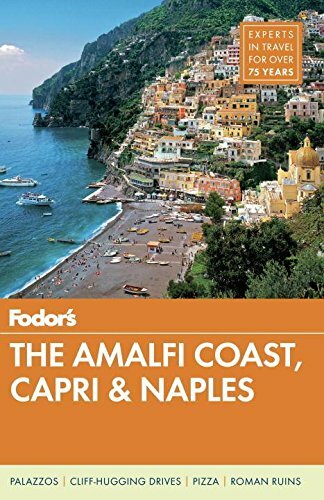 From Naples you can also easily explore the beautiful Amalfi Coast, known for its charming towns, magnificent scenery, scenic beaches and local craftsmanship. The city of Sorrento is about an hour by train from Naples. 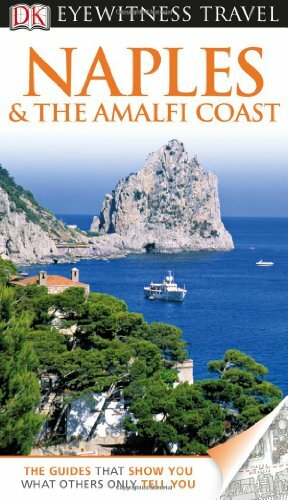 The island of Capri can be reached from Naples year-round by fast ferry or hydrofoil, and other locations along the coast during the summer months. Or, after spending a few days in Naples you can head further south to easily spend a few days relaxing on the coast instead of day-tripping it. Connections are easy, and you can get the best of both worlds: a busy, historic yet modern metropolitan city along with a relaxing stay on the coast. 6. Pizza. You know I had to mention the pizza. How could I write about Naples and not mention pizza? Napoli is the birthplace of this wonderful tasty treat featuring yeast-risen bread, tomatoes and cheese baked in a high-temperature oven. Yes, there are other flatbreads throughout the world and other things you can put on your pizza...but nowhere else in the world will you taste aPizza Margherita that is as perfectly made as in Naples. At least in my opinion. Why don't you come to Naples and decide for yourself? 7. There's more to Neopolitan cuisine than pizza, however. Located as it is on the Bay of Naples, it should be unsurprising that Neapolitan cuisine also makes excellent use of fresh, local seafood. If you love fresh clams, calamari, octopus, sea bass and other varieties of seafood you will surely find wonderful meals to satisfy your appetite. Especially along the bay, and the popular Borgo Marinaro, you will find restaurants specializing in seafood where you can dine along the water for a romantic experience. But even if you don't love seafood, the region is rich with excellent vegetables grown in the volcanic soil of Vesuvius, cured meats, and delicious sweet pastries—the Neapolitans do love their desserts like no where else. Oh, and did I mention the wine? It is some of the most easy to drink and pleasant I've enjoyed in Italy, even just the simplest table wines. Neapolitan cuisine is far from the "red gravy", heavy fare you might think it to be from eating in too many bad Italian-American restaurants stateside. 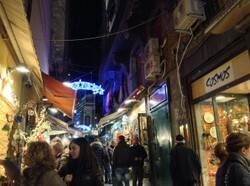 Borgo Marinaro: a lovely place to take an evening walk in Naples. A savvy traveler can spend a lot of time exploring and seeing the sites of Naples relatively inexpensively. Because it is not as popular with tourists as, say, Rome or Venice, there are many more affordable options for places to stay and eat cheaply while still enjoying plenty of amenities (and good food!) The Campania Artecardoffers free or discounted admission to many attractions in the city and surrounding area and unlimited use of public transportation for only 34 Euros for 7 days! Most of the city's best churches are completely free to enter as well, if you wish to see their wonderful art and architecture. So if you are a traveler on a budget, consider Naples as a place where you can see and do a lot in Italy without breaking the bank! A large nativity display in a workshop in Naples. If you love Christmas arts and crafts, particularly that of the Nativity or Creche, then you simply must come to Naples. The city has developed a long tradition of producing incredibly detailed and ornate nativity art, with an entire street (Via San Gregorio Armeno) devoted nearly entirely to workshops and stores for such work! In Naples, the nativity is an especially unique craft and tradition that reflects the heart of the city and its culture as well as religious tradition. Along with classic representations of the Holy Family, shepherds, angels and visiting kings, Neapolitan creches also reflect the "profane" life of the streets. There are butchers and bakeries, drunkards and dentists, pizza-makers and house wives washing their laundry. Some craftsmen even create figurines of popular celebrities, football players and politicans you can add to your Nativity! A visit to Via San Gregorio Armeno is a delightful exposure to this artistic craftmanship and the imagination and creativity expressed in even the tiniest figurines. More than anything else, it is perhaps the people of Naples that make it such a special place to visit. After so many years of getting a "bad rap" for visitors, we only found local residents eager to welcome open-minded tourists to their city and come to love it as they do. 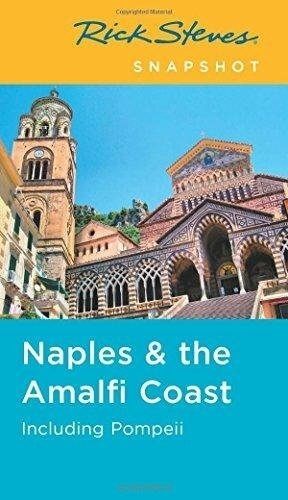 We were asked countless times how we were enjoying Naples, and welcomed like a family member when we expressed appreciation for the city's treasures and delights. We were told stories and secrets of some of Naples' great churches, brought rounds of limoncello over shared recipes for pasta, and exchanged contact information with our new-found friends should they ever come visit the United States.